Want to be a star at school? Work through these and start to shine! Four colourful books of puzzles and learning activities. 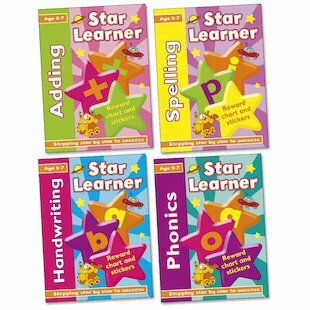 These vibrant home learning books feature clear and colourful exercises which reflect essential school topics, and are so much fun to do! Every time you do something well, stick a shining gold star sticker on the reward chart. 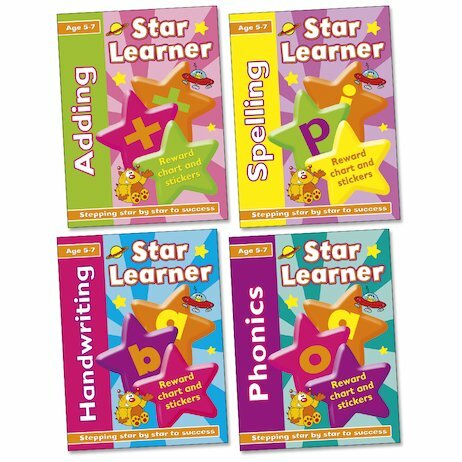 Soon you’ll be shining like a star in all your lessons too! Each book is in full colour and comes with a reward chart and gold star stickers.